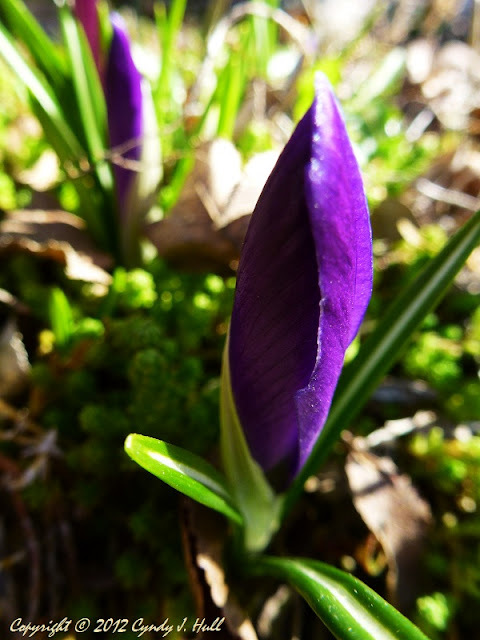 The crocuses are just coming up in my garden! I took a bunch of dandy photos while my lunch was cooking - & didn't even burn anything! This is the first of a series you'll see this week.